Bay area blogger Ted Hall is out celebrating his birthday when an unexpected event sends his world spiraling out of control. His sleeping schedule isn’t what it used to be and despite spending hours in bed, he’s no less rested when he awakes. Meanwhile, there’s a circus in town and the extracurricular activities of the performers are putting people on edge. There’s an ancient evil sleeping below the city streets and its arrival threatens us all, that is unless a few local Gods can put a stop to it. I was a huge fan of Adam Christopher’s The Empire State and its follow up, The Age Atomic. So much so that The Age Atomic made my year end list in 2013! Clearly, Angry Robot books was also a fan as they’ve decided to publish his follow up, Hang Wire. The plot within Hang Wire is just as original as his previous work and like before, he loads it up on characters and ideas. Maybe it’s what Christopher was going for but for the first third of this novel, I was so lost. That being said, when things start coming together, they do so masterfully. While I didn’t love it as much as his two-part noir tale, it’s a fun novel with a hell of an interesting cast. The character of Joel in particular, creeped the hell out of me. His interludes inside the main narrative takes him through the 1900s as a force to be reckoned with. His dialogue is both unique and memorable. The other supporting players flesh out the novel’s world in trying to be as diverse as possible. Benny, a chipper new employee in Ted’s office has some great moments as well as Bob, a mysterious beach dweller that spends his days teaching dance lessons in the sand. Both have important roles that grow as the novel progresses. 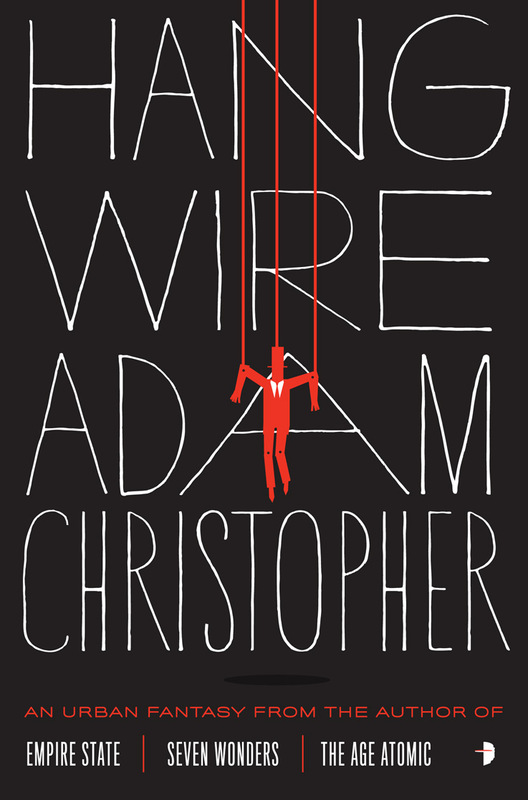 Hang Wire is a ultra-strange urban fantasy novel hell bent on keeping the reader in the dark until the very moment author Adam Christopher is good and ready to put the puzzle pieces together. December 24, 2013 in Adam Christopher, Fiction.